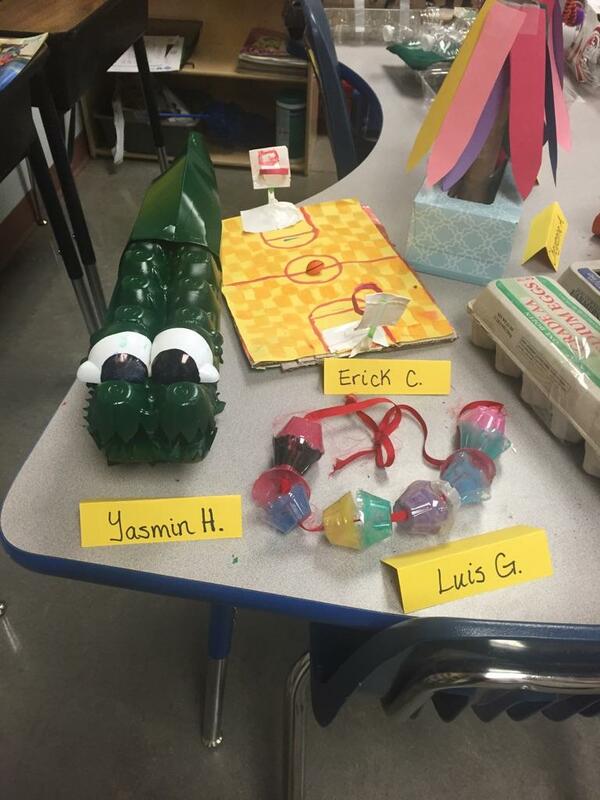 Earth Day took place on April 22 this year and did not go unnoticed at The Center for Academic Success Elementary School. Students in Romilly Gardner’s third grade class paid special attention to the holiday by learning all about environmental stewardship. Students had already been learning about climate and Gardner thought that Earth Day was the perfect excuse to tie in stewardship as well. Students learned about endangered species, the greenhouse effect, global warming and how to reduce their carbon footprints. In addition students learned about the three R’s, reduce, reuse and recycle. Gardner focused specifically on the idea of reusing materials and even had students read a Scholastic article about a man in Asia who creates new items out of old flip flops. 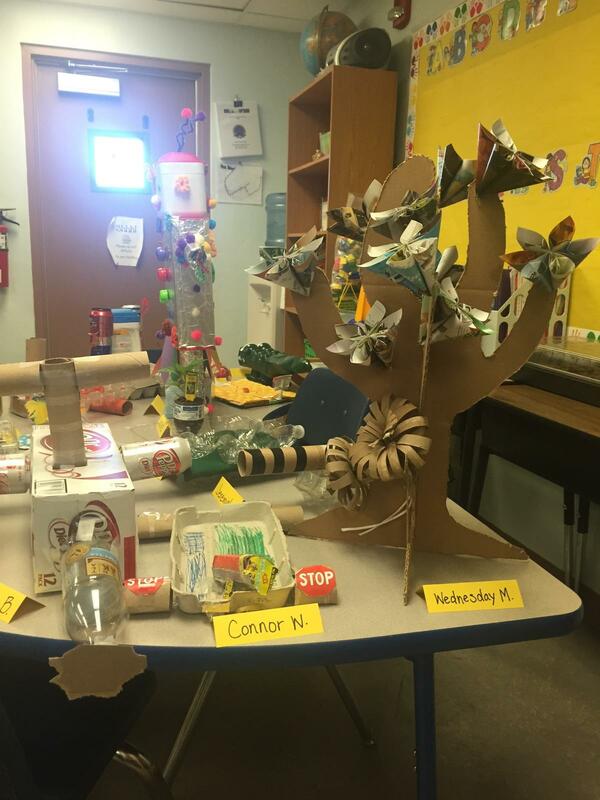 Gardner then tasked each student with creating an art project made of recycled materials to be brought in to school on Friday and shared with the class. She encouraged them to be as creative as possible. The projects were then judged by Diana Santa Cruz, third grade teacher’s aide, Jessie Carmell, second grade teacher’s aide, Traci Tomlinson, lead teacher, and Sabine Marshall, art teacher. The judges took into account not just how creative the students were, but also how recyclable the materials that they had used were. 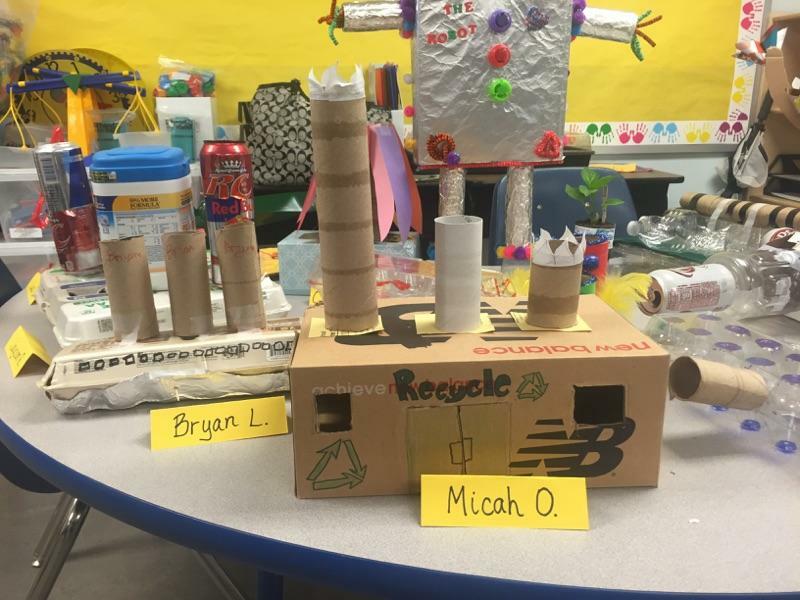 Wednesday Moore won first place for her tree, Yasmin Hernandez Acosta won second place for her alligator and Micah Olson won third place for his recycling factory.